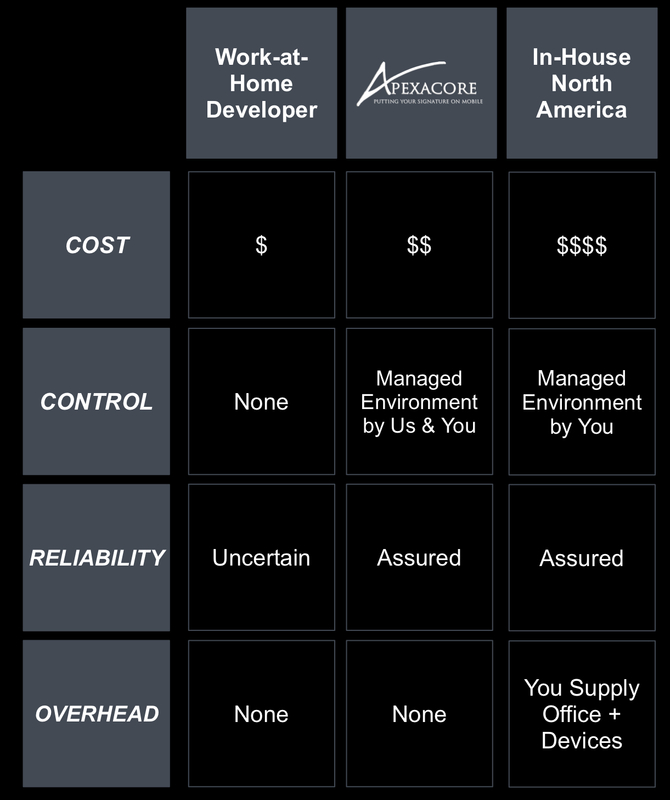 Apexacore is a Canadian software development company in Ottawa, Ontario, Canada. We specialize in lifestyle and enterprise mobile application and website development. Committed to being leaders in information technology, our mission is to provide you with the guidance and services you need to excel. Software is a key part to most businesses and for many companies it can be the difference between profit and loss. In this extremely competitive environment you need an edge, whether it’s lowering costs or having access to information faster than your competitors. Software can give your company that edge, whether it’s a state of the art cloud-based management system or mobile app for your employees to access key data. Or maybe, you want to build the next great entertainment or social app to connect your customers and build your brand. The Apexacore team is dedicated to helping you you navigate through the world of technology solutions to make sure your business stands apart from the rest, at a cost you can afford. 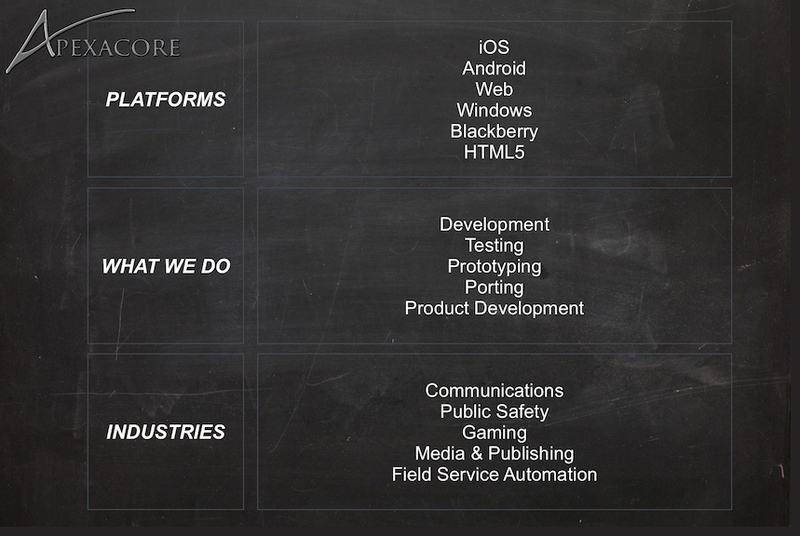 This chart explains the difference between your developer hiring choices.